Countries of Origin of International Students: China, France, Germany, Hong Kong, Indonesia, Japan, Malaysia, Papua New Guinea, South Korea, Taiwan, Thailand, Vietnam. Boarding provides a wonderful opportunity for academic achievement and the development of self-discipline, character and life-long friendships. The IGS boarding community is relatively small by design to ensure each boy is known and valued as an individual, not a number. The boarding towers overlook extensive sporting fields on Grammar School Hill. Facilities include air-conditioned, ensuited rooms designed for comfort, study and relaxation. Each student has his own desk and study area and his privacy is respected. Boarding masters and teaching staff maintain a family atmosphere and social and pastoral care activities have a focus on fun and interaction. Boarders enjoy nutritious meals for the active body and mind, while a live-in matron and house mothers provide support for developing men. 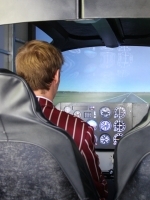 Students in Years 10, 11 and 12 benefit from a strong emphasis on scholarship, learning, achievement, leadership, character building and values education. We respect and appreciate the maturity levels of the young men in our senior years and interact with them as adults. 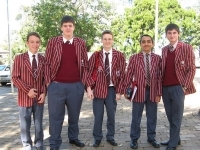 Ipswich Grammar School prides itself on academic excellence. Year after year the school achieves more OP 1s than boys in any other school in the region. Between 50% and 45% of our Year 12s receive an OP 10 or better and more than 90% of IGS graduates receive first round tertiary offers. Students choose from a range of subjects in the areas of science, arts, humanities, mathematics, business, computing, industrial technology and physical education. The curriculum provides a balance of contemporary and traditional subjects. Vocational and educational training is available with the opportunity for students to undertake school-based traineeships and apprenticeships.